This year, I’ve been lucky enough to be able to mix my love of electronic music with my passion of writing. 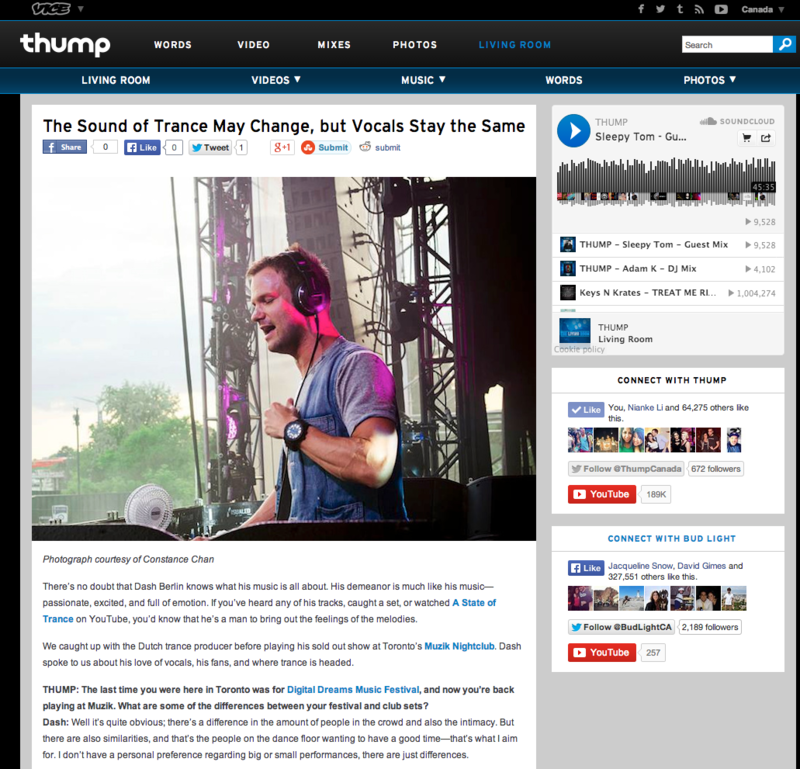 For my first piece with THUMP Canada, I got the chance to sit down with one of my favourite DJs, Dash Berlin. We talked about his unique sound and his incredible festival sets, which I’ve personally been lucky to witness twice now.